Death just might be one of the most misunderstood subjects today. To many it is enshrouded in mystery and evokes dreaded feelings of fear, uncertainty, and even hopelessness. Others believe that their deceased loved ones are not dead at all, but instead live with them or in other realms! Still others are confused about the relationship between the body, spirit, and soul. But does it really matter what you believe? Yes… absolutely! 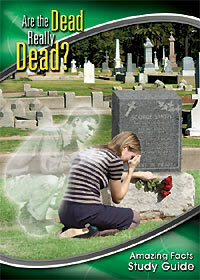 Because what you believe about the dead will have a profound impact on what happens to you in the end-times. There’s no room for guessing, so this Study Guide will give you exactly what God says on this subject. Get ready for a real eye-opener!